NeoTech formerly known as JATM (just another tech mod) is an ore processing mod. Some of the items it includes are: furnace generator, RF cables, electric furnace, item pipes, among other machines. 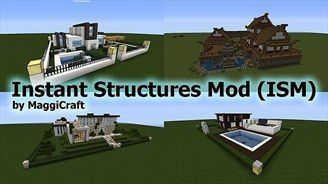 shows you great buildings created by other users. 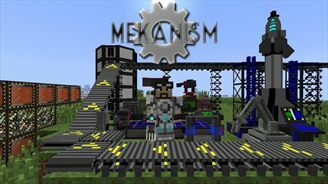 Mekanism is an independent tech mod that brings low, mid, and high tier machinery to Minecraft. The mod doesn't have an actual goal, and you'll understand this when you see all the random content Mekanism contains, from jetpacks to balloons. However, I can assure you that you'll notice all the content blend together as you get to know the mod better! Mekanism uses a tier-based system when organizing several of its core features, including Energy Cubes and Factories. There are four tiers: basic, the simplest tier, advanced, the second-most basic tier, elite, the second-most complex tier, and ultimate, the most complex tier. You can upgrade tiers by placing the component in a crafting grid and surrounding it with the necessary resources for the next upgrade (I recommend NotEnoughItems!). By the time you've been using Mekanism for a while, you'll have a near-instructible suit of Obsidian Armor, be obtaining four ingots for each ore you mine, have the ability to fly wherever you want with the hydrogen-powered jetpacks, and have a cute robotic friend following you around while you mine. In the world of Minecraft you have 3 dimensions, the Overworld, the Nether and the End. The Overworld is the place where you live, the Nether is the hellish place where you get materials used later, and the End is where you fight the Ender Dragon. One thing in particular that isn't defined in Minecraft is a world of the dead (you could essentially call the Nether a world of the dead, as that world contains a large amount of dead things among the other burning entities), the Underworld, the Abyss, and that's where this mod kicks in, by opening the gates of a world composed of death, a place where the absence of life has let a darkness take over what might've been a peaceful place. What my mod gives you is the opportunity to go beyond death (while still being alive), by crossing between 3 dimensions placed on top of each other like layers (where each one takes you further down into the darkness). These dimensions are the Abyssal Wasteland, the Dreadlands and Omothol. The Abyssal Wasteland contains more "regular" dead beings (skeletons, zombies, ghouls, spectral dragons, cudgel-wielding skeleton goliaths), and a boss who is the reanimated remains of a long dead dragon, brought back to life through the use of a altar. The Dreadlands contains mutated demonic abominations (and a large three-headed behemoth, guarding the component required to advance to the last dimension). Omothol is the final dimension, and also the one that is currently incomplete. Inside Omothol you can face the ancestral breed of the ghouls found in the Abyssal Wasteland, not to mention the evil demon who guards the Abyss (who currently also is incomplete). From one perspective, you could say Omothol is the most friendly dimension among the three, with it's inhabitants of nameless beings willing to trade goods with other life forms capable of making it this far (but if you were to, say, hit one, you will suffer the wrath of them). Now, enough about the dimensions added by the mod. In the Overworld you will find 6 new biomes, the Darklands (could count as a more evil version of the regular biomes, with a plains version, a forest version, a more elevated version, a mountain version and the regular, which is a mix between a forest and the plains) with it's purple terrain and nightly undead population (among the regular Overworld entities that appear during night). Then there's the Coralium Infested Swamp, which is a Swamp converted by the influences of Coralium (a element commonly found in the Abyssal Wasteland). In this biome you can entities made out of antimatter (which can be found in liquid form here, very lethal), who explodes if they collide with their normal counterparts, thus following the antimatter principle. In mob ways, this mod offers a large quantity of undead mobs, with the exceptions of the living shadows and the anti-mobs. Among these are the Depths Ghouls, found in Darklands biomes, any Swampland or Ocean, and within the Abyssal Wasteland. Then there's the Abyssal Zombie, which is a new breed of Zombies made through interactions with the Coralium Plague. Abyssal Zombies are hostile towards normal Zombies (as they kill them to spread the plague even further), and can be found within the same biomes as the Depths Ghouls (apart from these also spawning in the End). There are a lot more entities, and quite frankly it would take a lot of text to cover all of them here. A bit further down I will explain a way to easier obtain this information. In block ways, you can find 7 new stone types, among them Darkstone (found in the Darklands), Abyssal Stone (found in the Abyssal Wasteland), Abyssalnite Stone and Dreadstone (found in the Dreadlands), Omothol Stone (found in Omothol) and Coralium Stone (created by pouring Liquid Antimatter on Liquid Coralium, found in the Abyssal Wasteland). There are also 2 new types of wood, called the Darklands Oak and the Dreadlands Tree, found in their respective locations. There is also a lot of new ores added, among them the Abyssalnite Ore (found in the Darklands and inside the Dreadlands), Coralium (found inside ocean biomes, swamps and the Abyssal Wasteland in many different forms), and Nitre (found in any Overworld biome), which doesn't have that much of a use yet. There are also "abyssal" versions of regular ores found in the Abyssal Wasteland (most regular Overworld ores except redstone and coal, Tin, Copper and Nitre). In item ways, you can find anything from tools and armor to flesh made from antimatter. There are Armor sets and Tools for each new material added (Abyssalnite, Refined Coralium, Dreadium, Ethaxium), some special sets for each material (apart form Ethaxium) which requires additional materials. You can find a range of new foods, among them Fried Eggs, Food on A Plate (you can create Iron Plates and put regular food on them to amplify it), MRE (meal ready to eat), various types of flesh dropped from the mobs (which is very unhealthy). Among the items is also the Necronomicon, which is the information book for this mod. A Necronomicon can be crafted by surrounding a Book with Rotten Flesh (but place a Iron Ingot in the bottom and top right slot). In each dimension, you can empower the Necronomicon by surrounding it with a piece of flesh from a mob found there, which unlocks new knowledge in the book. The Necronomicon is currently under development, but it has information that covers the mod progression and information on materials found in each dimension. Later on you will be able to cast spells with it, and perform rituals in order to obtain certain things (or summon beings from beyond). 5 new types of stone, called "Darkstone" (It's 20% stronger than regular stone), "Abyssal Stone" (generates within The Abyssal Wasteland, "Dreadstone", "Abyssalnite Stone" (generates along with Dreadstone in The Dreadlands), and "Coralium Stone" (created from pouring Liquid Antimatter on Liquid Coralium). All of the stones have brick equivalents. New tools, 5 types so far, Darkstone, Abyssalnite, Coralium infused abyssalnite (2x the stats of abyssalnite with special abilities), Refined Coralium and Dreadium. 6 new type of armor, Abyssalnite, Coralium Infused Abyssalnite, Dreaded Abyssalnite, Refined Coralium, Plated Coralium, Depths, Dreadium and Dreadium Samurai. 7 new overworld biomes, called "Darklands", "Darklands Plains", "Darklands Forest", "Darklands Highland", "Darklands Mountain", "Coralium Infested Swamp" and "Coralium Infested Ocean". New mobs, so far 16, the "Depths Ghoul", the "Abyssal Zombie", the "Evil Pig" (a hostile pig that looks like a normal one), the "Spectral Dragon", the "Skeleton Goliath", the "Shadow Creature", the "Shadow Monster", the "Shadow Beast", the "Demon Pig", the "Abyssalnite Golem", the "Dreaded Abyssalnite Golem", the "Dreadguard", the "Dread Spawn", the "Dreadling", the "Spawn of Cha'garoth" and the "Fist of Cha'garoth". A new trader mob, called the "Remnant". They spawn in the 3rd dimemsion, but can also be created by pouring Liquid Antimatter on a Villager. 11 "Anti-mobs", including the "Abyssal Anti-Zombie", the "Anti-Bat", the "Anti-Chicken", the "Anti-Cow", the "Anti-Creeper", the "Anti-Ghoul", the "Anti-Pig", the "Anti-Player", the "Anti-Skeleton", the "Anti-Spider" and the "Anti-Zombie". All Anti-mobs explode if the collide with their normal counterpart (except the Anti-player). 4 boss mobs (known as "Asorah, The Fallen", "Cha'garoth, The Dreadbeast", "Sacthoth, Harbringer of Doom" and "J'zahar, Gatekeeper of The Abyss"). J'zahar currently isn't complete, while the others have been fully implemented (but Asorah could use a few small improvements). 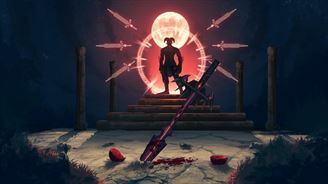 A new dimension, The Abyssal Wasteland, a dimension filled with undead monsters, where you can find abandoned strongholds with the use of "Powerstone Trackers". There's a boss here called "Asorah, The Fallen" who can be summoned through an altar made from various materials. A second dimension, called The Dreadlands, a desolate red dimension filled with Abyssalnite Golems and Dreaded Abyssalnite Golems, who constatly fight each other. There's also numerous Dread-plagued monsters found here, along with the Dreadguard, who guards the fortress of Cha'garoth in the Dreadlands Mountains. A third dimension, called "Omothol", a realm consisting of structures built on floating islands, where you'll face "J'zahar, Gatekeeper of The Abyss". This dimension is currently a work in progress, so currently only the islands generate, without buildings nor mobs. 14 new ores, known as Abyssalnite, Coralium, Nitre, Abyssal Coralium, Pearlescent Coralium, Liquified Coralium, Abyssal Iron, Abyssal Gold, Abyssal Diamond, Abyssal Tin, Abyssal Copper, Abyssal Nitre, Dreaded Abyssalnite And Dreadlands Abyssalnite. 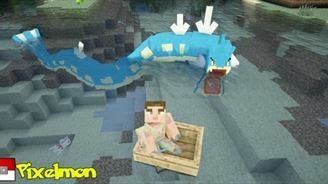 The first 3 are found in the overworld (Nitre appears anywhere, Abyssalnite appears in the Darklands biomes and Coralium appears in Coralium Infested Swamps and ocean biomes), the 9 after are found in The Abyssal Wasteland (first dimension), and the final 2 are found in The Dreadlands (the second dimension). The "Oblivion Deathbomb", a heavily engineered explosive that can destroy anything except bedrock (and which spawn "Sacthoth, The Habringer of Doom"). The ODB (shortened version of the name) has a core which can also be used as a fairly strong explosive (stronger than tnt). 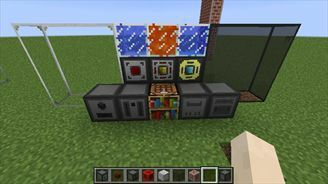 3 new Machines (called the "Crystallizer", the "Transmutator" and the "Engraver"). The Crystallizer can convert elements into crystal, while the Transmutator can transmutate various elements (and also convert crystals back into base components). The Engraver can be used to engrave blank coins (crafted by placing ingots in a plus sign formation, with a piece of flint in the middle). 2 new trees (called the "Darklands Oak", and "Dreadlands Tree"). The Darklands Oak is found in various Darklands biomes, while the Dreadlands Tree is found within the Dreadlands Forest biome, located in The Dreadlands. 4 new enchantments, "Coralium", "Dread", "Light Pierce" and "Iron Wall". The Coralium and Dread enchantments applies Coralium/Dread plagues on hit. 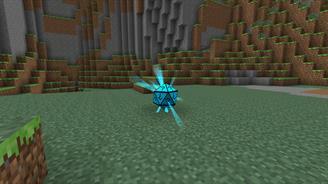 The Light Pierce enchantment functions like Smite/Arthropods/Sharpness, but against Shadow Mobs. The Iron Wall enchantment negates any knockback delivered from attacks. Check out the forum post to check out crafting info! This mod allows you to capture a region containing any blocks or machines, then deploy and undeploy it at will. It is inspired by Dragon Ball capsules. Welcome to Chance Cubes! 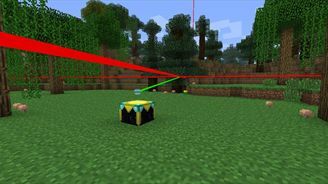 A Lucky Block alternative mod! Explore your world and open these mystical blocks to obtain random rewards. Some rewards are helpful while others can be devastating. From rewards that spawn in hordes of zombies and death traps, to ones that build full houses and provide next level items, each reward has its own unique twist to make it feel special. Don't feel like exploring? Then just simply sacrifice some of your lapis to craft and obtain these mystical and trollsome blocks. Making a modpack? Want to make your own addon to add rewards to this mod? Well with an easy to read JSON file format for creating your own custom rewards, you can! This adds a single block to the game the Chunk Loader! It keeps chunks constantlly loaded into memory, it keeps the games processes going even if the player is not in that area. A redstone signal will turn the block off. When off, the orb will come to a rest. Right-clicking the block opens the GUI, providing the option to change the radius and shape of the area kept loaded. 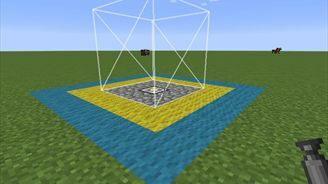 A square with a radius of 3 will keep 25 chunks loaded. 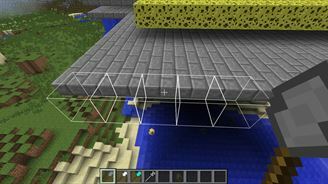 Shapes include Square, Circle, Line X (straight line of chunks on the x-axis in game), and Line Z (straight line of chunks on the z-axis in game). The 'Show Lasers' button toggles the rendering of the outline of the chunks loaded by this Chunk Loader. If too far away from the block, the lasers will stop rendering, but the chunks WILL remain loaded. When chunk loading, be sure to cover the ''entire'' area of your build. If you fail to chunk load essential blocks, e.g. an [[Aqueous Accumulator]] providing water to [[Combustion Engine]]s, some machines may operate in unintended ways. Be sure to use the 'Show Lasers' button to see exactly where the cutoff point is for the loaded chunks.